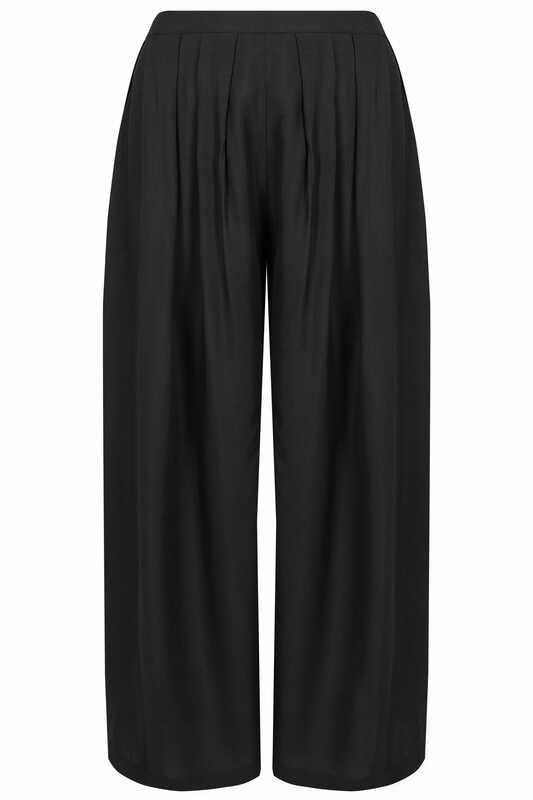 Inside leg length from (approx) 63.5cm/25"
Flatter your curves with these must-have trousers. 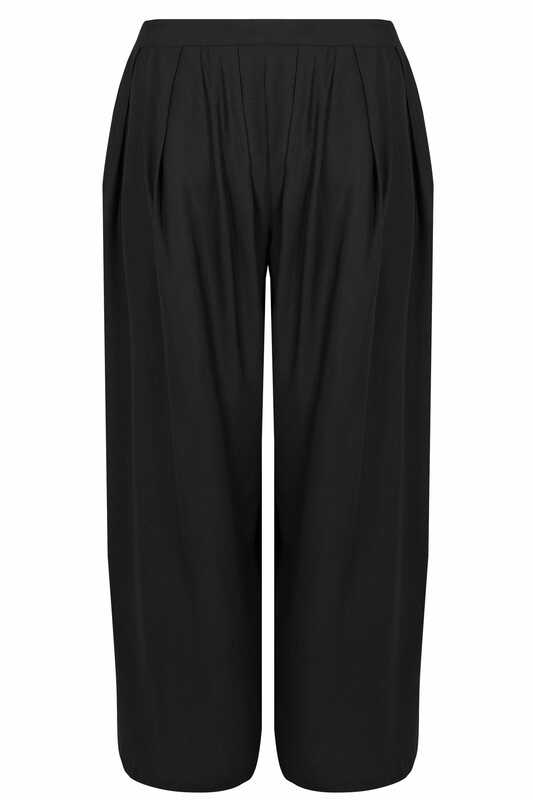 In a wide leg design, they feature elegant pleats and are secured with a size zip fastening. Easy to dress up or down, team with a simple tee and trainers for an edgy look or with heels for after-dark appeal. 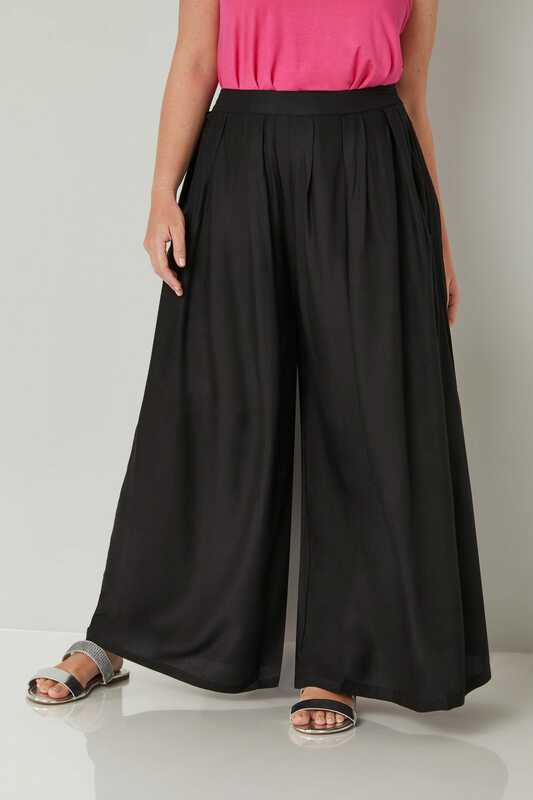 A versatile option, we love their easy-to-style design.